They often say that writers are born, not made. While this is true to a large extent, you can go a long way to turn yourself into a good writer if you have a good imagination. One element that distinguishes a good writer from everybody else is possibly his or her ability to find a good plot. A good plot is very necessary. Good plots alone; however, do not make a story alone. The plot is one aspect. That plot must be set against a background. It must move forward and in order to do that there has to be a world with characters in your story. All too often would-be writers ignore the background and yet it is such an important part of a fictional story. Take Harry Potter for instance. In order to understand him and enjoy him, you have to form a clear picture of his world in your mind. You enjoy him because the author has the ability to paint the picture so clearly that you can dive into that world by reading the words. If the reader can lose him or herself in your world, you are winning. 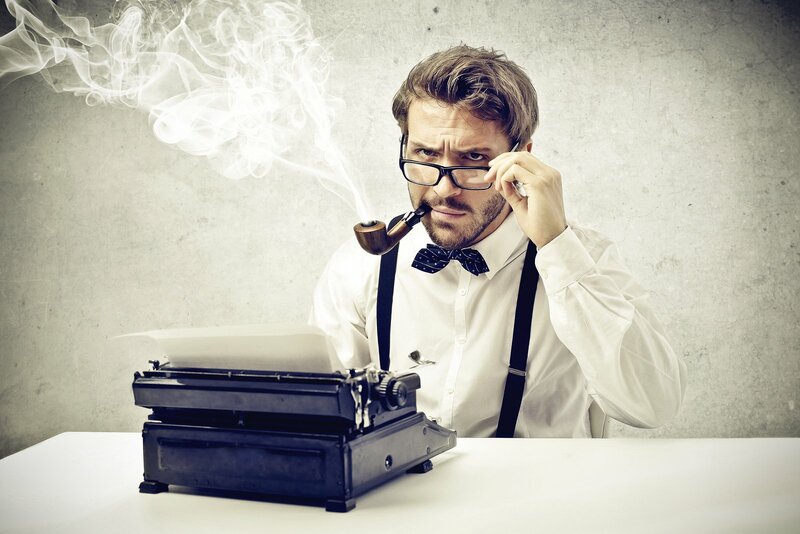 You just may have what it takes to become a successful fiction writer. Even more important though is that you must lose yourself as a writer in your imaginary world. If you do not see what you write, it will sound artificial. Your characters must be real to you and so must the world they live in. To use an example: When you write about the rescue efforts after an earthquake, you must be able to see the sweat on the faces of the rescue workers and to hear the sounds as they remove the concrete and steel of the collapsed building. You must be able to feel the fear and desperation of the people trapped in the building. Only then do you draw people into your story. The story is a unit. It is more than the characters and it is more than the action. It is about the full picture. People can believe that an elephant can fly standing on a needle. You just need someone to paint that picture in a way that they can see it. That is what is so great about fiction writing. The reader can escape to another world and that world comes from the mind and the imagination of the writer. If you are determined to attempt your first novel – which will no doubt be a prize winner – do not spend all your time working out a plot. Spare some thought, a lot of thought actually, for the background. It can be very difficult to identify areas of weakness in our own work. This is why it is important to have our work assessed professionally by an outsider who is not affected by what we were trying to do, and can see what we have achieved instead. But for those of us on early drafts, it can be helpful to know some of the things assessors consider when reading manuscripts. See how many of these you can answer with a ‘yes.’ An occasional ‘no’ is fine. Just make sure you have reasons for your deviations, and that you have not weakened your work with too many of them. Check your manuscript for typing, spelling, and grammatical errors, and maybe even re-editing certain paragraphs that are not fluent or interesting. The easiest errors to tackle are your typing and spelling mistakes which can be easily identified by the built-in spell checker in MS Word.If you need to look up words fast while editing you visit Dictionary.com which searches for the meaning of the word that you want immediately. There’s also the Thesaurus function that you can use to find an alternate word with the same meaning on the same site. It is very important that you proofread your manuscript as many times as you can. Get someone else to do it too! When you have been so involved with your work, it is very hard to pick up mistakes that others can see easily. The saying “You see what you want to see,” is so very true. If you really can’t find anyone, maybe you should think seriously about getting a professional to do the job. It is our experience with writers that errors are still found at the last minute before printing even though they have edited and proofread their books many times. If you need professional help, we can refer you to freelancers. 1.Is it clear who the story is about? 2.Is the major character someone the reader can identify with well? 3.Does the major character have both outstanding character traits and flaws, physical and mental? 4.Is the major character introduced to the reader very early? 5.Does the major character show growth in understanding as the tale progresses? 6.Is the main character active in solving the problems encountered? 7.Does the main character’s weakness contribute to the problems encountered and solved? 8.Does the main character have moments of despair and hopelessness as well as of confidence? 1.Are there a limited number of essential minor characters, all different? 2.Are the minor characters as completely thought out as the protagonist? 3.Does each minor character have more than one use in the development of plot and ideas? 4.Are the antagonists more than stereotyped figures of evil? 5.Do the ‘good’ characters avoid stereotypes? 6.Are gender stereotypes either used deliberately or avoided? 7.Do all minor characters come across as individual people? 8.Does each minor character participate in events in the main plot as well as in minor plot elements? 1.Does the main action begin in the first few paragraphs? 2. Does each chapter contain a significant contribution to the main plot line? 3. Does the solution of each problem in the main story line lead to a greater problem? 5. Do the sub-plots contribute significantly to the themes or ideas of the main plot (e.g. by reinforcing them, or offering alternative points of view)? 6. Do the subplots connect with and interact with the main plot at various times? 7. Are the subplots resolved before the main plot climaxes and is resolved? 8. Is there a twist or surprise at the end? 9. Is back story avoided in the first few chapters? 1. Are the setting clearly pictured (if imaginary) and well known (if real)? 2. Do the settings offer clear changes in mood, tone, action? 3. Do the settings complement or contrast with the prevailing mood and action? 4. Do the settings have universal attributes (understood by any reader)? 6. Are the settings appropriately specific or generic? (e.g. the W. A. 8. If the work is set in some time or place other than that of the author, is that time or place thoroughly researched and made familiar? 9. Have anachronisms been avoided (e.g. King Arthur smoking a pipe; Victorian women holding 20th-century views on gender)? 1. Does the first sentence capture the tone and topic of the story? 2. Are the characters shown in action, rather than being passively described? 3. Does the first paragraph introduce the major threads of the story? 4. Do the middle chapters maintain pace and forward movement? 5. Are conversations representative of real conversations: elliptical, brief, colloquial? 6. Do action sequences have short sentences with emphasis on verbs? 8. Are verbs expressed in active forms (e.g. ‘she knitted’ rather than ‘she was knitting)? 9. Is the author’s viewpoint limited to a few, one, or no characters’ thoughts and feelings? 10. Does the author remain invisible or take an active part in telling the story? 1. If this is a first novel, is it under 80,000 words long? 2. Is it double-spaced in Times New Roman 12 point or the equivalent? 3. Does it have wide margins on every side? 4. Are the first lines of every paragraph, except those that open chapters, indented? 5. Do paragraphs follow each other without spaces between them? 6. Are the pages numbered consecutively, along with the author’s surname and book title, in 10-point? 11. Is the spelling standard usage? Ghost writer is the term used for a professional who can write your book for you. Ghostwriter John Harman is a professional writer who has written for a living all his working life. Apart from his novels and many works of non-fiction, John has ghost written more than a dozen books, all of which have been published. JohnHarman.com is his website.